"As soon as you are born the sand starts falling and only by demanding to be remembered do you stand a chance of it being upturned again and again." The “problem” rests in that Asymmetry is three very distinct stories tied together by the thinnest of threads. “But there’s no thread at all,” many readers will say. There is and there isn’t. You see, it’s all very metafictional and I’m all about the meta. In Part I we have a young woman, Alice, from Massachusetts who works as an editor, dreams of living in Europe, and develops a romantic relationship with a much older National-Book-Award-winning author. 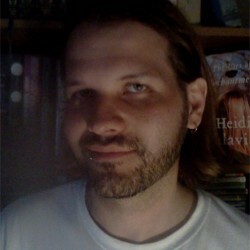 The author of Asymmetry, Lisa Halliday, is herself a former editor from Massachusetts who now lives in Italy. Whether truly based on the author's personal experiences or not, it is logical for a reader to assume that Alice is autobiographical. And therein lies the brilliance of Asymmetry because we do not really know Lisa Halliday’s story, we only make assumptions based on the few facts we do know. But then Halliday goes in the opposite direction. In a time when we too often question the writer’s ability to write from any other perspective than their own, Halliday turns the book on its head and writes a very different story. A young friend of mine has written a rather surprising little novel about this, in its way. About the extent to which we’re able to penetrate the looking-glass and imagine a life, indeed a consciousness, that goes some way to reduce the blind spots in our own. It’s a novel that on the surface would seem to have nothing to do with its author, but in fact is a kind of veiled portrait of someone determined to transcend her provenance, her privilege, her naiveté. In Part II, we’re introduced to Amar, an Iraqi-American man who is detained by immigration officers for an entire weekend. He reflects on his back and forth relationship with Iraq and America and with his family, caught between two worlds. It’s natural for the reader to expect some sort of connection to exist between Amar’s story and Alice’s. The reader is busy looking for it and any direct connection that exists is so thin the reader is most likely to miss it: at the end of Amar’s story, we briefly see a woman who may or may not be Alice. That’s it. But the connection goes beyond that, because if that woman is Alice, then she’ll go on to be the writer who writes Amar’s story. Halliday nails the voice of Amar, proving that a privileged woman from Massachusetts can write from a perspective that she has no first-hand experience with. That's not to say Halliday doesn't understand Amar. Her story is reflected in Alice's as it is in Amar's. ...even someone who imagines for a living is forever bound by the ultimate constraint: she can hold her mirror up to whatever subject she chooses, at whatever angle she likes—she can even hold it such that she herself remains outside its frame, the better to de-narcissize the view—but there's no getting around the fact that she's always the one holding the mirror. And just because you can't see yourself in a reflection doesn't mean no one can. Yet Asymmetry is so meta that I'm wondering if there's not more to it. For instance, in the opening pages, the young editor is reading a book that itself bears similarity to the novel of Part II, a novel “made up almost exclusively of long paragraphs, and no quotation marks whatsoever, and what is the point of a book, thought Alice, that does not have quotation marks?” So is Alice reading the book that she herself has yet to write? Or is Alice not the author? Is the fictional Alice perhaps reading the book that her own creator Lisa Halliday wrote? Only now, as I write this, am I drawing the connection between “Alice” and her “looking-glass.” Am I looking too much into this? I'll just leave it at this and let the reader infer their own conclusion. As I read this novel, I occasionally caught glimpses of other works and authors I have read, all of them Man Booker nominees: Eleanor Catton, Kamila Shamsie, Ian McEwan, Ali Smith… There’s a strong similarity in the tone and structure of the works. I will not be the least surprised if Asymmetry is not on the longlist to be announced in a few months. 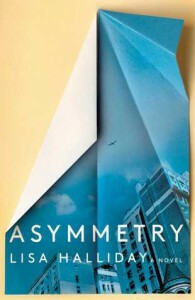 It's not a perfect book and it may fail in conveying its message to the vast majority of readers, but Asymmetry is such an intelligently written and relevant book that I'm sure someone will take notice.